Applications are currently being accepted for the Spring Tustin CERT Course. Sponsored by the Tustin Police Department, the Tustin Community Emergency Response Team (CERT) Basic Training Course is a 24-hour FEMA approved program that provides you with the basic skills to respond to your family, neighborhood and community’s needs in the aftermath of a disaster, when emergency services may not be immediately available. By working together, CERT members can assist in saving lives and protecting property using the basic techniques taught in this course. Course instruction is provided by the Orange County Fire Authority and the Tustin Police Department. This course is currently offered twice per year (Spring and Fall). All 8 classes will be held on Wednesday evenings from 6:30 pm to 9:30 pm starting on March 6th and ending on April 24th. 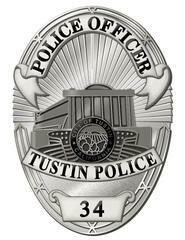 If you are interested, please visit “Disaster Preparedness” at www.tustinpd.org Or contact Joe Meyers at the Tustin Police Department at TustinCERT@tustinca.org or at (714) 573-3294.